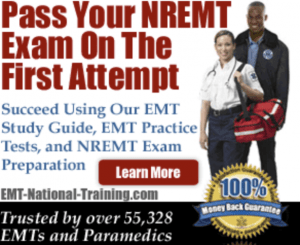 In this article, we will examine the EMT salary in Massachusetts so that you can walk away with a strong understanding of how much an EMT makes in your local area (be it Brookline, Boston, or Springfield) as well as what you can expect to make if you ever decided to go on to become a paramedic or even a flight paramedic in Massachusetts. Do understand, however, that how much an EMT makes in Massachusetts is based on a variety of factors, such as region and the number of hours one works. EMT salary can also fluctuate based on whether the job is on the ground (ambulance or fire truck) in the air (a flight medic), or located in a remote area (a wilderness EMT). Despite the variances, the Bureau of Labor Statistics of the U.S. Department of Labor (BLS), which is the principal Federal agency in charge of calculating labor market activity, working conditions, and price changes in the economy, has determined the wages earned by EMTs in Massachusetts. But in order to get the best stats possible, we’ll not only pull numbers from the Bureau of Labor Statistics, but also Salary.com as well. So let’s begin. According to the BLS, the approximate salary average for EMTs working in ambulatory services in the United States is $30,360. Now, let’s use Salary.com as our guide to not only examine how much EMTs are making in certain areas of Massachusetts, but also figure out how their salaries compare to those that are paramedics and flight paramedics, too. In Boston, EMTs make $33,459 every year. Paramedics make an average of $42,416 per year. And flight medics make $45,382 annually. In Worcester, EMTs earn $32,568 annually. Paramedics earn $41,285. And flight paramedics make $44,173 in yearly income. In Springfield, EMTs make $32,339. Paramedic salary is $40,995 annually. And a flight paramedic salary makes $43,862 every year. In Cambridge, an EMT makes $33,459 in salary. Paramedic salary equals about $42,416, while a flight paramedic salary is $45,382. In Lowell, EMTs make $32,165 per year. Paramedics earn $40,776 each year. And a flight paramedic pulls in $43,627 annually. In Brockton, EMTs earn $33,459 annually. Paramedics earn $42,416. And flight paramedics make $45,382 in yearly income. In Quincy, EMTs make $33,459. Paramedic salary is $42,416 annually. And a flight paramedic salary makes $45,382 every year. In Brookline, an EMT makes $33,459 in salary. Paramedic salary equals about $42,416, while a flight paramedic salary is $45,382. When it comes to employment for EMTs on a national level, the number one industry with the highest level of employment is Ambulatory Health Care Services (110,330). Second are EMT positions within Local Government (69,290), followed by General Medical and Surgical Hospitals (38,180), Other Support Services (1,640), and Offices of Physicians (1,610). Of all these industries listed above, EMTs working within Local Government make the most amount of money each year ($38,400). If you’re wondering whether or not EMT training is worth your time, money, and energy, look no further than the estimated statistics from the BLS. Between 2010 and 2020, employment of EMTs and paramedics is expected to increase by 33 percent. With another generation of Americans growing older, and the sad reality that car crashes, natural disasters, and physical violence always injure human beings, the demand for EMTs will continue to rise as time marches forward. Remember, too, that becoming an EMT doesn’t mean the end of your goals or ambitions in EMS. Many students use their EMT training in Massachusetts as a stepping-stone to become paramedics, EMT instructors, field training officers and more.